Kadayawan is one of the major festivals in the Philippines. It is a yearly event held every third week of August in Davao City. This year, Kadayawan Festival will be on August 11-17, 2014. The highlights of the festival will fall on August 16-17, 2014. Here’s a list of Top 10 Things to Do in Davao to give you an idea of what else to do aside from witnessing the Indak-Indak sa Kadalanan. Indak-Indak Sa Kadalanan is a street dance competition featuring the diverse and rich culture of Davao Region. 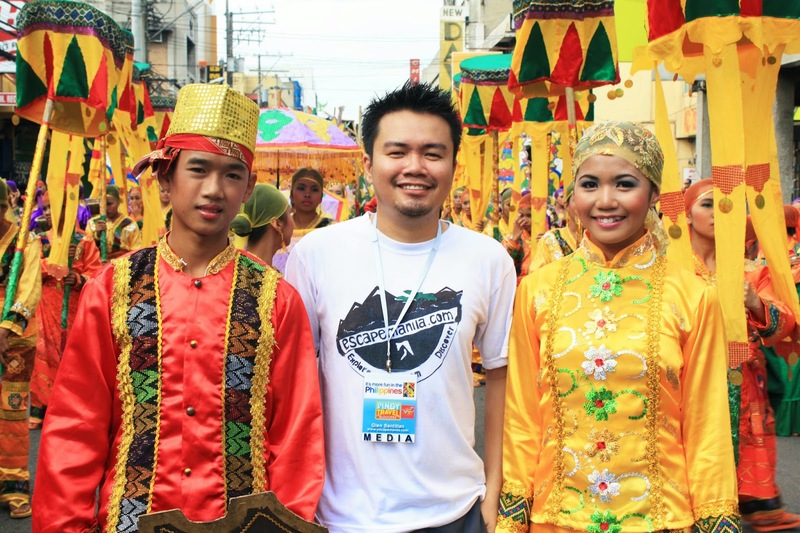 Participants wear colorful costumes representing different tribes in the region. 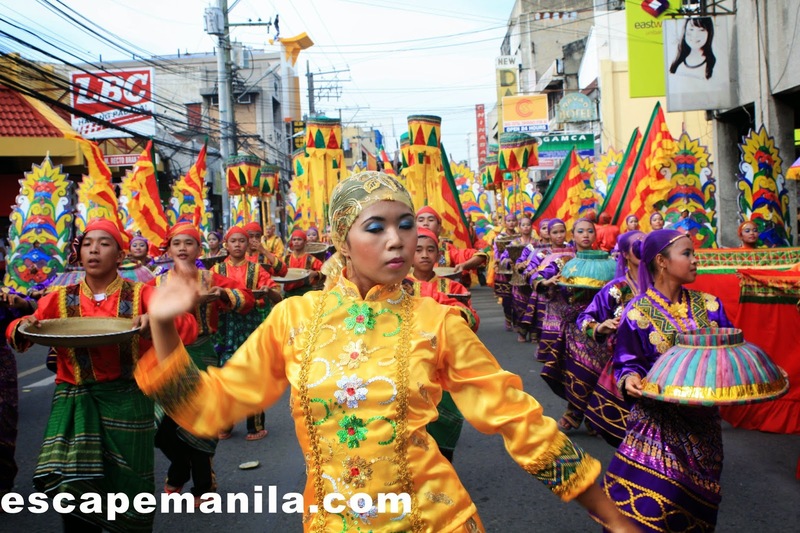 The parade usually starts in Ponciano Street passing through San Pedro and Claveria Sts. 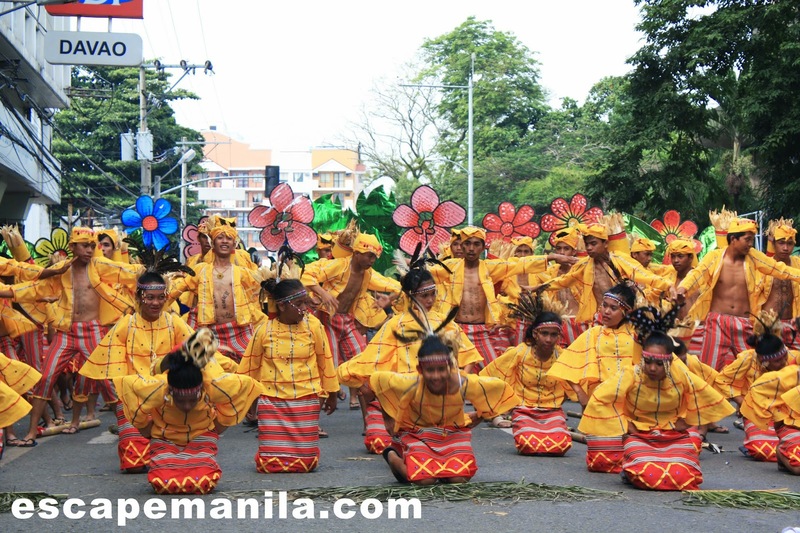 Pamulak sa Kadayawan showcases the bounty of Davao Region. 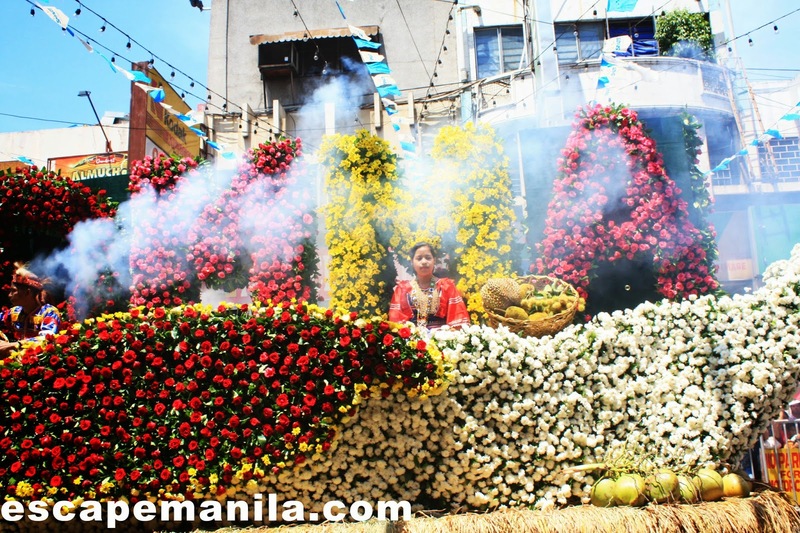 It features different floats decorated with fruits and vegetables which are abundant in the region. This event is also being attended by a lot of local celebrities representing a brand or a TV Network. Watch out for more updates on all the lined up schedule of activities and events. Bookmark this page and get updated of the latest schedule of activities. See you in Davao for the Kadayawan Festival 2014. Davao, Life is Here! Congratulations to all the participants and winners for this year’s Kadayawan Festival. Kudos to the organizers and the people behind Kadayawan for a successful event. Until next year! Watch out for more of Davao only here at EscapeManila.com. Champion – International Pharmaceutical Inc.
3rd Runner-up – University of the Philippines Los Baños Alumni Assoc.